A blog operator must pay $29,000 to a real estate developer for “defamation”, a Chinese court has ruled after alleging a building complex had bad energy. 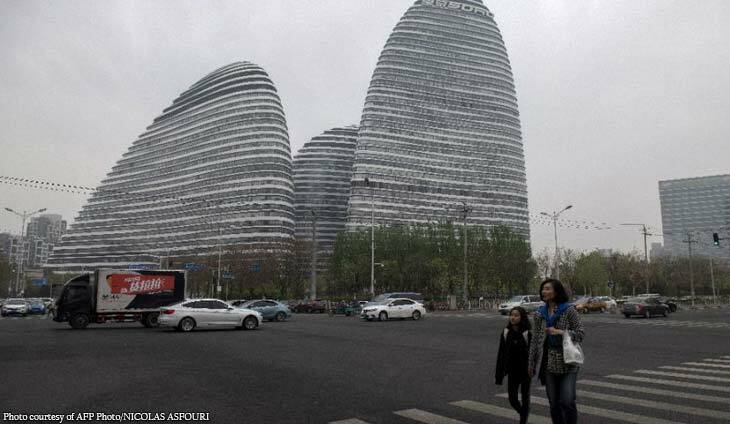 The “S Shenkunju S” blog took aim at the Wangjing Soho complex in the northeast of Beijing — a group of three buildings that resemble large rounded pebbles, owned by developer Soho China. The article compared the structures to “pig’s kidneys” and predicted the business of companies inside will suffer a “Waterloo” — the crushing defeat of the French Army by a British-led force in 1815. According to the blog, which called on businesses to leave the premises, the proof these “outlandish” constructions are generating negative energy is the financial difficulties of the firms based there. Beijing’s Chaoyang district court on Wednesday agreed, ruling the feng shui “superstition” was used to defame the real estate group. The company behind the blog was ordered to pay the developer 200,000 yuan ($29,000) and apologise publicly.